A handy and mess-free way of keeping the surface of your silver plate highly reflective. Also works well on gold, palladium and other precious metal plates. 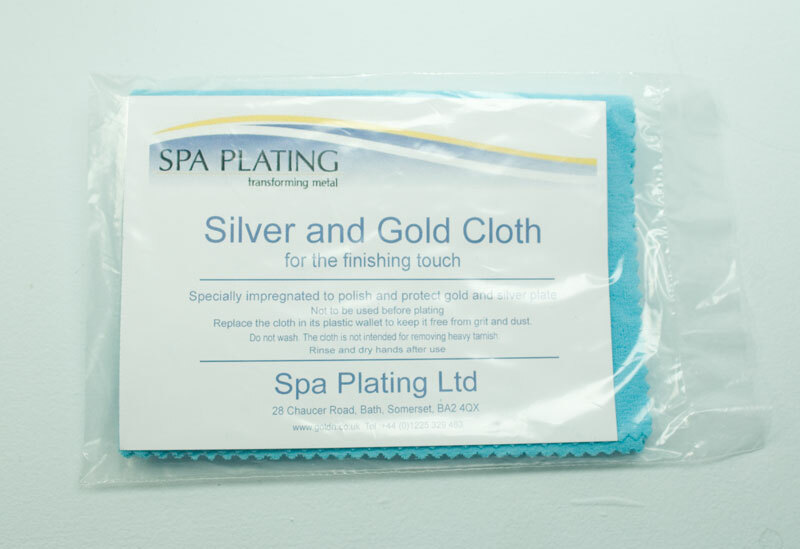 Our Silver and Gold Cloth is a convenient way of keeping your precious metal plates in tip top condition. Always put it back into its plastic puch when not in use as this will prevent it from picking up dust and dirt that might end up scratching the next piece of plate you polish. This page concentrates on the different approaches to polishing you can take, according to the size of the item you're plating and how scratched or oxidised/corroded it is. To recap, the two stages in surface preparation are polishing, followed by cleaning or degreasing. 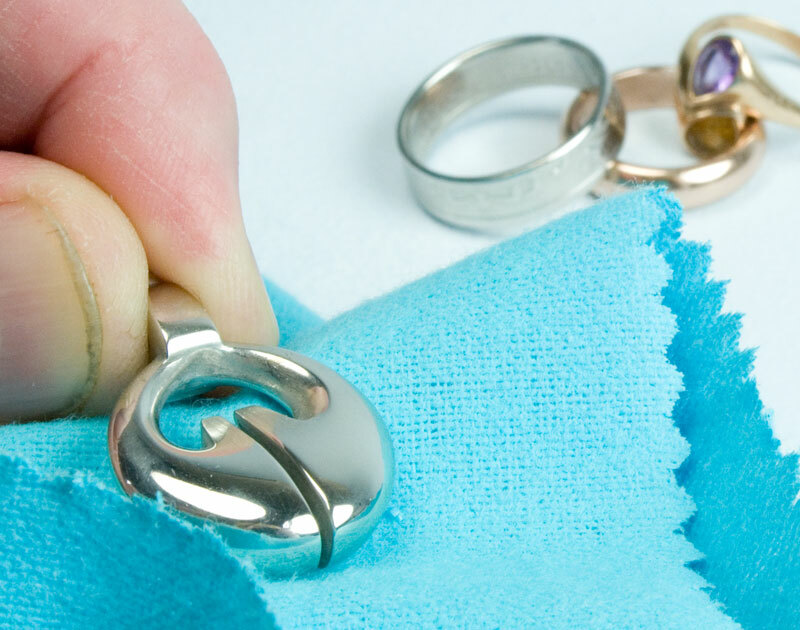 We'll be focussing here on the polishing stage and how it can be done either by hand or by machine. 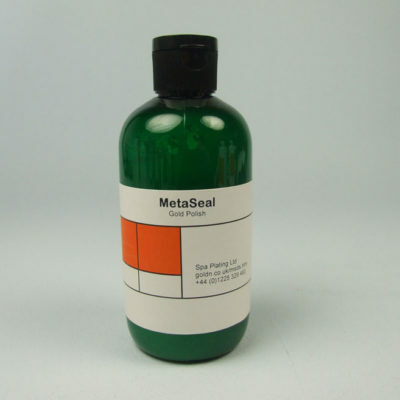 If you intend to machine polish you will need to remove the traces of polishing wax with a solvent or if this isn't available you can use MetaPrep. 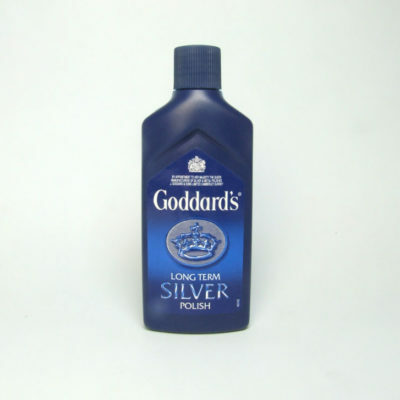 If you are hand polishing using a metal polish such as Autosol, you will again need to remove the traces of this with solvent or MetaPrep. In both cases the solvent or MetaPrep will then need to be removed with liquid detergent and this in turn will need to be completely rinsed off under running water. 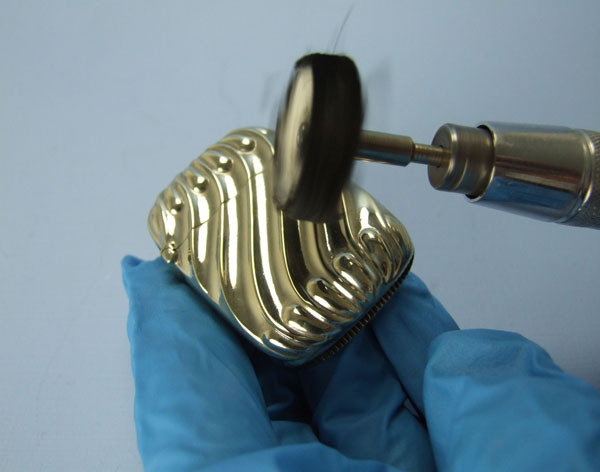 Machine polishing small items can be carried out with a hand-held machine called a pendant drill. This is particularly popular with jewellers. This can be seen demonstrated in the picture to the right where a small Dremmel mop mounted in a pendant drill is being used to get into the angles created by the surface design of this EPNS matchbox. This can be a safer option than trying to introduce a small, delicate item such as this to the buffing machine. Machine polishing larger items can be most efficiently carried out on a buffing machine using a range of different mops. All of the mops listed below can be purchased on our online shop. Sisal mops are used for dented or very deeply scored items. A word of warning though; be careful not to distort the shape of your work, as this mop can cause a lot of traction if you press too hard. Stitched mops are the next stage on from sisal and can be used on items in a medium scratched condition or the first stage of polishing of hard metals, such as stainless steel. You can apply considerable pressure to get the maximum cutting speed but again, take care not to distort your work. Loose leaf mops are used for the final polishing stage or to remove minor scratches from items of work that don’t need a lot of polishing. 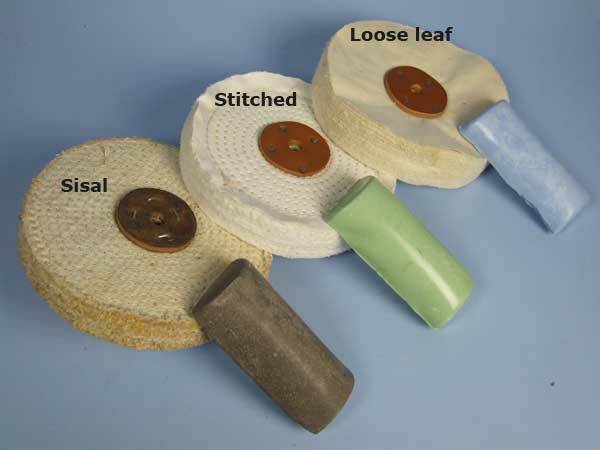 Try to avoid cross contamination of your mops with the polishing bars. Health and safety should be the first priority when using buffing machines. Your buffing wheel must be guarded properly; this will prevent work from being thrown out if it catches and is snatched from your hands. It also stops you from using the wrong section of the wheel – remember, only use the front, bottom section. 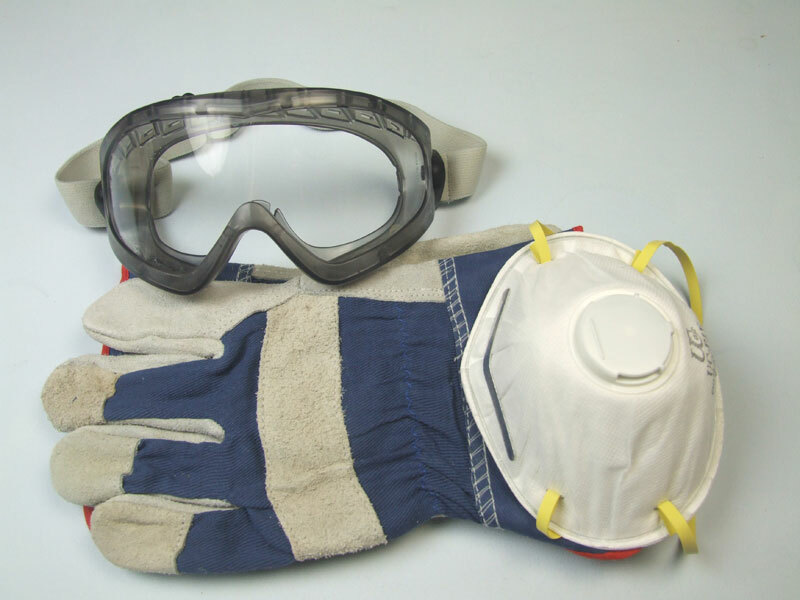 You should always wear polishing gloves, eye protection and a respirator to protect yourself from breathing in the fine metallic dust produced by the buffing wheel. General metal polish is the most abrasive and is used only for the stages before plating or polishing before re-plating. Silver polish is used for polishing silver plated items to bring up the final lustre and to protect the surface from further tarnishing. We sell a Hand Polishing Kit that includes general metal polish and silver polish on our online shop. MPU is ideal for polishing and cleaning the surface of your work in preparation for plating and in many instances can be used instead of the ActiClean stage . If your work is very greasy, we still reccommend cleaning with liquid detegent before cleaning with MPU. 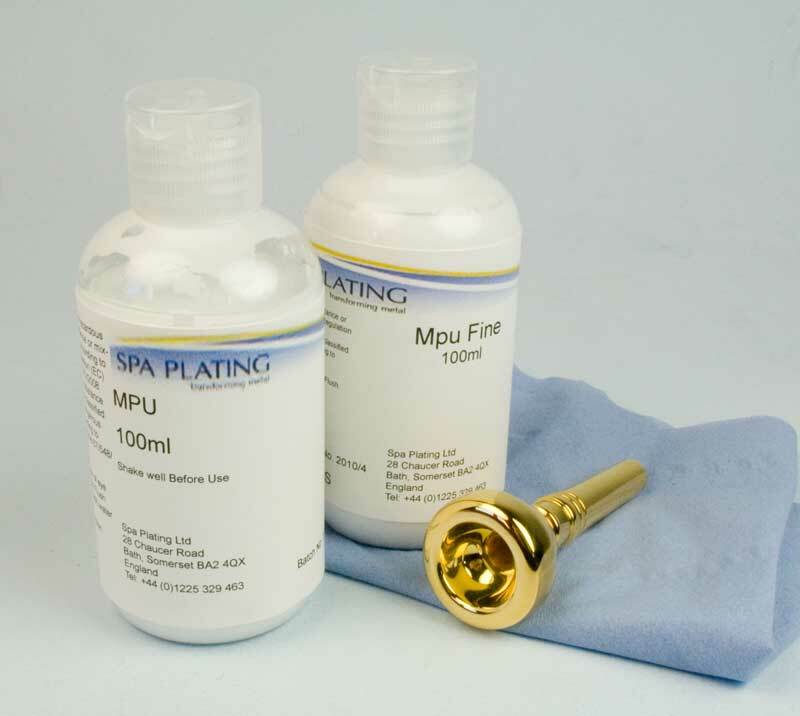 MPU Fine is used for polishing thin, flash coatings of gold. For in-depth guidance on choosing the right hand polishing compound according to the stage of plating, please see our Hand Polishing Guide in this manual. 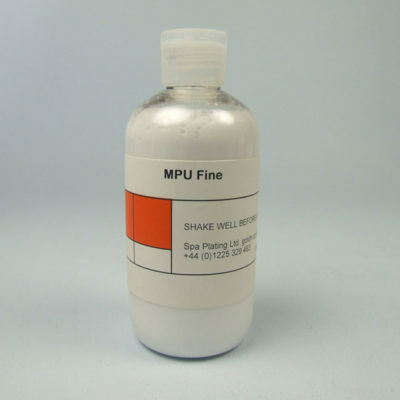 We have developed MPU and MPU Fine specifically for hand polishing during the electroplating process.